In 1923 Crossley supplied a number of chassis to Vickers at Crayford to be fitted with armoured car superstructure. Completed vehicles were sold to India (approx 100), Britain, South Africa (2), Canada, Argentina (six supplied in 1927) and Japan (12 supplied in 1925). In 1938 South Africa and Canada refitted the bodies to Chevrolet truck chassis and these cars which became known as Crossley-Chevrolets saw service through the Second World War. A crew of four was carried. In total, 451 were made with final deliveries in 1925. 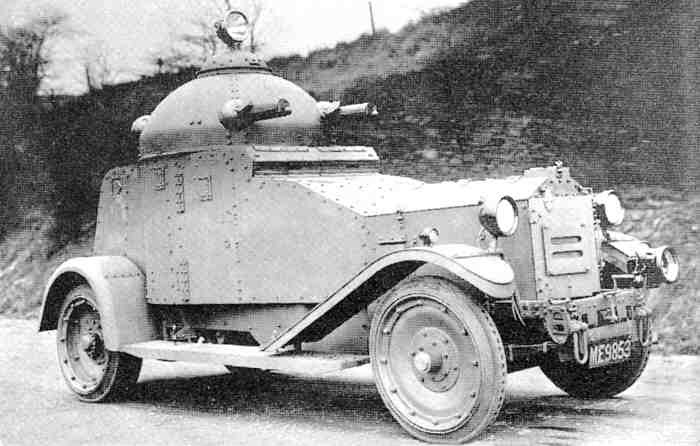 The body had a turret fitted with two 0.303 machine-guns and a "clamshell" opening for the commander. The dome shape was intended to deflect rifle shots. The side doors on either side opened opposite ways to provide cover for a crew member getting out while under fire. The crew area was lined with asbestos to keep the temperature down and the entire body could be electrified to keep large crowds at bay. Solid tyres were fitted and the complete vehicle weighed around 7.5 tons. 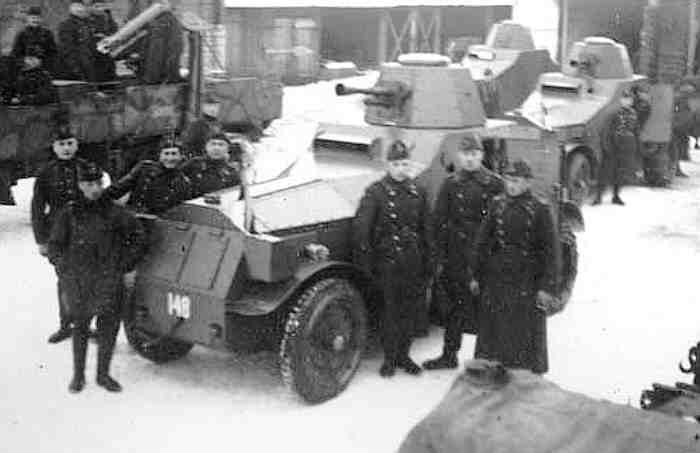 In addition in 1924 thirteen chassis were supplied to Estonia, fitted with armoured bodies locally and designated Arsenal Crossley M27/28. 7mm armour plate was used. Two versions were built, seven with 7.7 mm Madson machine guns and six with 37mm Hotchkiss SA guns. The vehicles weighed 5.5 tons and had a maximum speed of 60kph. They ended up in Russia in 1941. The engine used was the 4531 cc unit from the 25/30. Chassis numbers were in the 30xxxx range. Three survive in museums, two in South Africa and one in the UK. 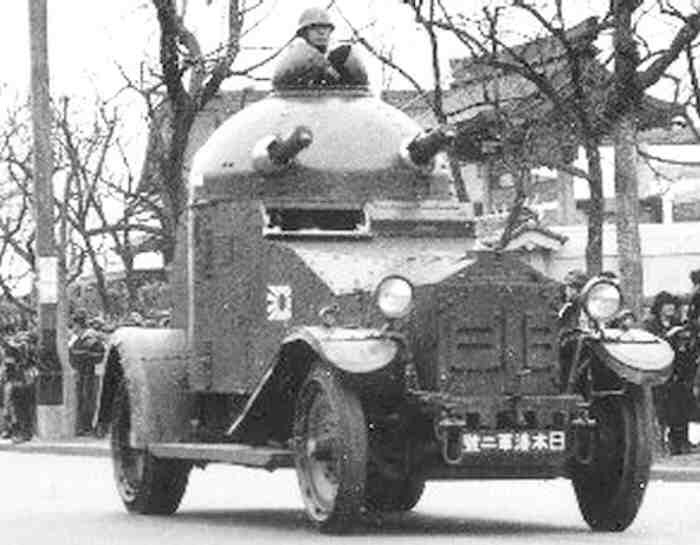 An IGA1 of the Imperial Japanese forces in Shanghai. Three of the thirteen IGA1s of the Estonian defence Forces. Gears 4 speed gearbox separate from engine by a short shaft with universal joints. Drive shaft Propellor shaft enclosed in torque tube. Torque tube bolted to diferential housing and diagonally braced to rear axle casing. length 16 feet 6 inches (5030 mm).